UK tech firm Micro Focus is buying the software business of a division of Hewlett-Packard for $8.8bn (£6.6bn). The deal makes Micro Focus one of the UK's biggest tech companies, with total annual revenues of $4.5bn (£3.4bn). It is acquiring assets from Hewlett Packard Enterprise (HPE), including former UK tech champion Autonomy which HP bought in an ill-fated deal in 2011. Micro Focus was promoted to the FTSE 100 last week, replacing ARM after it was bought by Japan's Softbank. 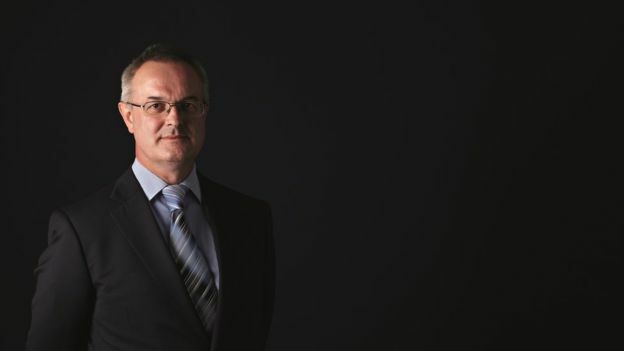 A string of acquisitions has turned Micro Focus, based in Berkshire, England, from being a relatively small player to being worth over £5bn, with revenues doubling in 2015. Shares in Micro Focus closed 14.5% higher at £22.38 after jumping as much as 21%, making it the biggest riser on the FTSE 100. Kevin Loosemore, Micro Focus executive chairman, said the deal marked a significant milestone for the company. Mr Loosemore said he approached Hewlett Packard Enterprise in February about a deal and was not put off by the market turbulence that followed the Brexit vote in the UK. HPE has more than 50,000 customers including many of the biggest US companies. We are accustomed to headlines bemoaning another UK industrial champion falling to a foreign predator. This morning the tide, if only briefly, is flowing the other way. Micro Focus, a fast-growing technology firm based in Newbury, Berkshire, is merging with a division of the original Silicon Valley titan, Hewlett-Packard. Although the combination will have a slim majority of shareholders from the US company, this is a British takeover. The new Micro Focus will keep its listing on the London Stock Exchange, and the management will be British. The new entity should have a stock market value north of £10bn - about twice the market cap of Sainsburys. While it is tempting to see this as a swallow that might herald a golden summer of takeovers by ambitious British companies, it has more to do with the weakness of an ageing tech giant rather than a resurgence of appetite on this side of the Atlantic. Hewlett-Packard is rightly credited with having founded Silicon Valley, nurturing a string of high-tech entrepreneurs and technology companies that went on to conquer the world. In 1968, it put the first personal computer on sale - a snip at $5,000. Only two years ago it still employed 210,000 people; after today's deal, that number falls to 50,000. For Hewlett-Packard it is part of a dramatic downsizing from having been a giant of the computer industry with annual revenues of more than $100bn. Under chief executive Meg Whitman the group has been stripped down to what she believes is its core strengths. 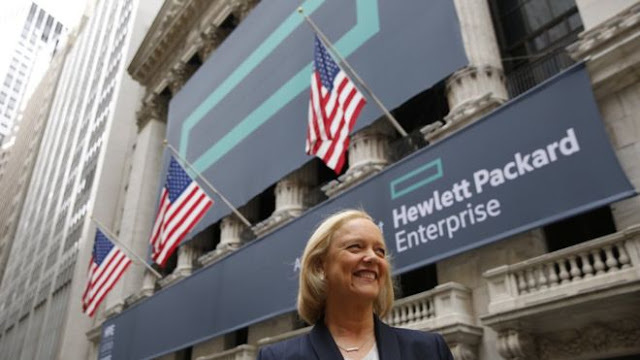 HPE was one part of Hewlett-Packard which split into two last year. The other part, HP Inc, focuses on computers and printers. The software spinoff follows HPE's announcement of the sale of its business services division to CSC for $8.5bn. "We are taking another important step in achieving the vision of creating a faster-growing, higher-margin, stronger cash flow company well positioned for our customers and for the future," said Ms Whitman. The sale is also being seen as a way for Hewlett-Packard to finally shed itself of its ill-fated purchase of Autonomy. After the takeover, Hewlett-Packard wrote off about three-quarters of Autonomy's value, claiming that "accounting misrepresentations" had led it to overpay for the firm. Autonomy denied that, and a slew of legal action then followed. Its founder, Mike Lynch, told the Financial Times that the deal "was a good thing". "They can't really screw it up any more than it was. Hopefully there are still some gems in there," he told the paper. Originally posted on BBC News.